On May 3rd 2019, it will be the end of an era. Data.com, which started by the name of Jigsaw — will be shutting down forever. This is absolutely huge for so many B2B companies. On May 3rd 2019, it will be the end of an era. Data.com, which started by the name of Jigsaw — will be shutting down forever. This is absolutely huge for so many B2B companies. Data.com Connect has already stopped taking new customers and next spring you’ll no longer be able to login. You’ve probably heard something about it. They’re not the only ones, either. Salesloft’s Prospector, KiteDesk and others have shut down. And it’s likely not the end of woes for big data providers. Even though this may not be news to you, so many sales reps and businesses are still using data.com (and others like it) for leads. Like a runaway passenger train headed for the end of the track, you may be in a panic wondering, ‘Whatever shall I do’. If that’s you, stick around for some exciting news. Believe it or not, there are surprising similarities with the data industry. After it was acquired by Salesforce, the contact data company slowly started taking a turn for the worse. This downgrade happened, in large part, due to the crowdsourcing nature of the platform. Users could upload details that were just plain inaccurate. This is essentially irresponsible hunting. Data.com isn’t that cool anymore. (Gasp.) Oh, you were thinking it, we’re just saying it. It is shutting down after all. The whole ‘get a list of 10,000 emails and send them the same cold email‘? Yeah, that’s spam. And it doesn’t work anymore. Data.com is an early 2000’s software… still. And is now the latest to go extinct. 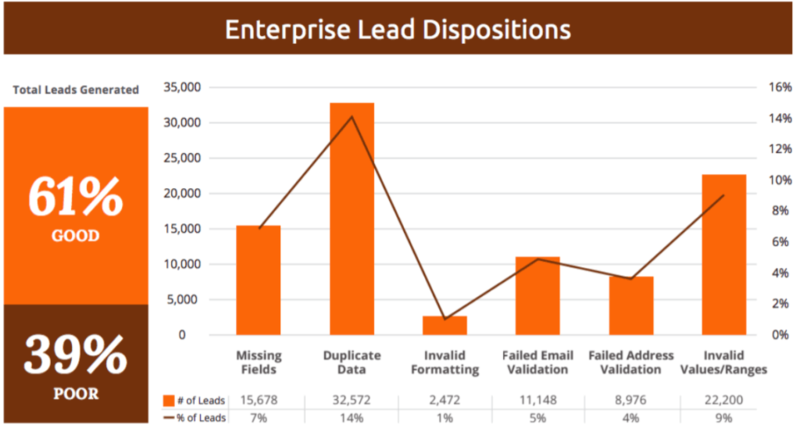 Here’s an image from a recent study that showed the accuracy of both SMB and Enterprise lead data. The screenshot is for Enterprise, but SMBs were strikingly similar. When Salesloft shut down Prospector, it was a “high performing SaaS product”. That said, it was plagued with the same problems as the other data giants. Regardless, people are upset about data.com, too. Why? Because they were awesome. With 20-30% (or more) inaccurate data, you can expect at least that percentage of bounce. Imagine you’re sending 1000 new leads emails each month. Let’s say you get 5% click through on the number of emails that are actually delivered. If you do the math, you’re losing 15 click-throughs each month at a 30% bounce rate. 15 potential conversations down the drain for contact data that you pay for! You probably know the feeling when you get a fresh list of leads and you see so many on there that fit your buyer profiles. But, you notice that the details are not accurate. Maybe hop on LinkedIn to track down your Jane Doe. Or, you scrap those leads. This is an all-too-common scenario. If the lead is good enough, you end up spending time looking for the details that you or your company already paid to get. In addition to being inaccurate, the data sets are beginning to be antiquated as well. Job role, company signs, annual revenue, email. This data is industry standard. That said, the world is opening up in terms of buyer behavior. Predictive analytics, social listening and ad spend are just a few things data providers of the future will need to bring to the table to compete. Okay, okay. We all get it now, right? In order to remain competitive in our industries we need accurate data for our sales teams and businesses. You could find another bulk data provider, write off 30%+ that’s likely to be inaccurate and wait for news that it’s shutting down too. Or, you could use a provider that takes ownership of the enrichment process and provides intel the other data companies never have. If the second option sounds enticing, please give me a moment of your time to announce something. We’re not going the way of the dodo by getting typecast as only a cold email tool. We’ve always been great at data and see an opportunity to be more valuable to the sales industry. There are a number of things that make us more agile and higher on the food chain than the data giants. Here are the best two…right now. 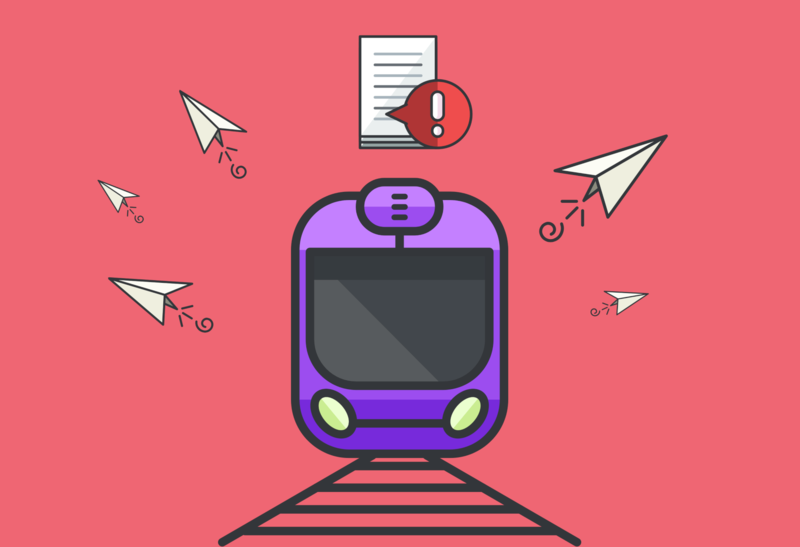 Every email is double-verified, company details are regularly updated and social profiles are ready to roll. Imagine having a prospecting tool that made sure the intel you were getting was as up-to-date as possible. This would save you the time of checking LinkedIn profiles, cross-referencing different data tools and a host of other things that you probably do on a weekly basis using data.com. LeadFuze is NOT crowdsourced. This alone means our data is much more reliable. Our data is constantly maintained through crawls and updates. Remember the 20-30% bounce rates from your cold data.com lists? Hell, even WARM email lists (where people specifically have subscribed to your newsletter) have an average of 9.6% bounce rate (according to Constant Contact). How about less than that, for COLD email outreach? Accurate data for cold outreach provides similar bounce rates to a warm email list. If LeadFuze customers get higher than 10% bounce rates, we hear about it (and we should). Because it’s not our normal. Accurate data should be standard. In fact, in the event a bounce does occur with LeadFuze leads — it’s credited back to your account. Pay for 1000 leads and get 1000 leads, not 700 with 30% inaccuracy. (Even though our data is far more reliable.) It’s 2018 and it sounds like that should be standard, but it’s not… Until now. Another older strategy is to buy a list of say 500 to 2000 leads and wring it dry like a wet towel. But doing this almost always results in a feast or famine structure. You keep reaching out to the leads on the list until you hit the bottom of the barrel and then… Uh oh. Now you need to buy a new list and start the nurturing process all over. Time and time again this results in deals being closed sporadically. Did You Say Unlimited Leads? You heard that right. Unlimited data isn’t just for cell phones anymore. If you’re a small-business or solo operation, 1000 new contacts every month is a great option. With our lead flow dashboard, you’ll be able to pull up multiple names in each account and really dig deep into your sales process. If your outfit is a bit bigger (or you need volume), LeadFuze is happy to have recently announced an unlimited leads plan with list build automation. A first for the data industry.